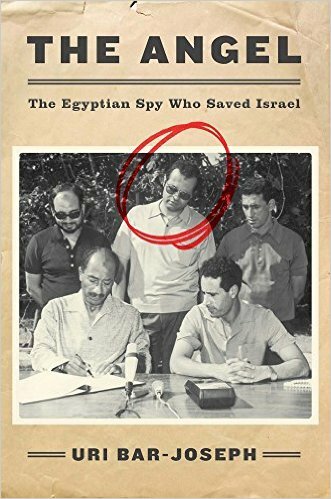 Prior to the 1973 War Israel scored an intelligence coup which comes around once in a generation: the IDF accessed an agent who worked directly for Egypt's head of state, Anwar Sadat. Code-named "Angel," Marwan Ashraf was able to get quality, timely intelligence regarding Egyptian and Syrian preparations for war. However, for a number of reasons Israel was still almost taken by surprise, showing that even the best intelligence can be defeated by preconceptions and personality conflicts. Interestingly, I was stationed in Egypt at the time of Ashraf's death and funeral, and one of my jobs was to monitor Egyptian media. There was not a whisper in Mubarak's Egypt that Ashraf was anything but a patriot. Now, almost ten years better, I know better. The author is very good at discussing the intelligence flooding into Israel prior to the war, but slightly missed the mark in discussing Egypt's preparations for crossing the Suez Canal. Since Sadat had little confidence in Egypt's ability to gain air superiority over the Sinai he was relying on an "umbrella" to protect Egyptian troops on the eastern side of the Canal and Bar-Joseph calls it "impractical" to move air defense systems across the bridges. This was not true for the SA-3 and SA-6 systems, which were mounted on tank hulls which could cross the bridges. Also, he failed to note how the missile systems were integrated with each other, each system compensating for weaknesses in other systems. A minor point but it would have given the reader a clearer picture of the Egyptian crossing. Bar-Joseph also addresses a topic of discussion among those familiar with Ashraf Marwan's story, that of whether the Angel was actually a double agent. The author demolishes this idea, pointing out how the information the agent provided was accurate but not used to its full effect by the Israelis. The argument that the timing was delayed in such a way as to convince the Israelis that the execution of the Arab plan would never take place, a very risky and unpredictable plan at best. Overall, a great book. The author repeats the description of Nasser as the "modern Saladin" several times and has an odd use of the word "fire" instead of "assault" or "attack," but it doesn't detract from the content. Book includes photos.